We try not to take ourselves too seriously at GU, here is a look at the lighter side of clubbing. Global Underground are launching a remix competition for the classic track ‘Mexico Can Wait’ by Roland Klinkenberg feat. DJ Remy. 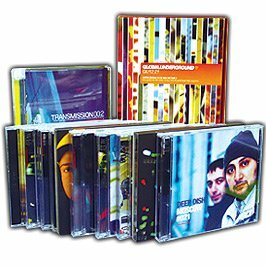 The winner will have their remix released on Global Underground alongside Mathew Johnson and others, along with a bumper GU goodie bag, including a #GU41 James Lavelle – Collectors Edition, 10 Classic GU titles and a GU T-Shirt. As well as an exclusive download of the GU Classic Producers samples pack – set to be released in 2016. Click here for some inspiration – it’s a video of Mathew Johnson creating his remix in the studio. Just gonna release a remix he did for me, see what the competition brings… Can only start half way januari, because I’m in India for tour and fun soon… So what is the deadline? Hi, the deadline is Jan 31st 2016. Good luck!